coldantlerfarm: Gibson & I Invite You to Battenkill Books! 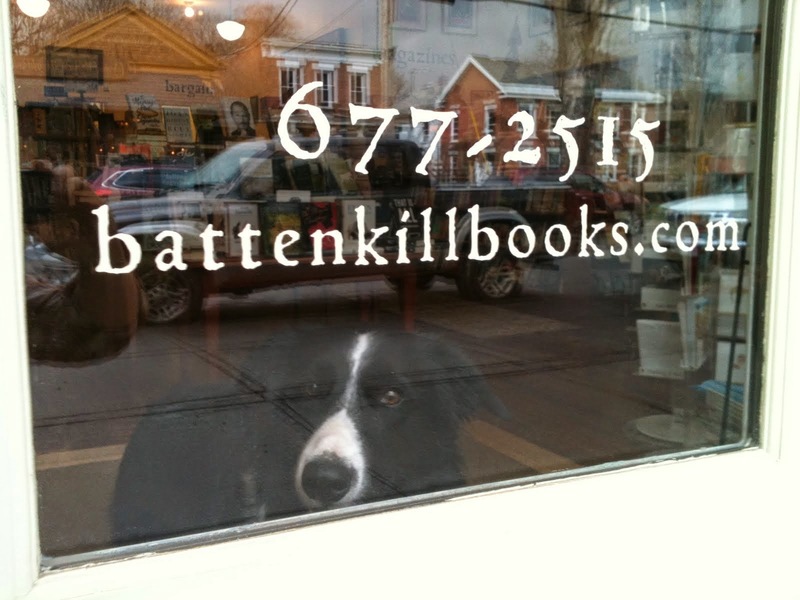 Gibson & I Invite You to Battenkill Books! This holiday season you can give any of my books (all are currently stocked here at the shop in my little town) as a gift fro Battenkill Books! Connie will take your rode (online or over the phone) and then email me to come down and sign copies. Not only will you get a signed, messaged (and if you ask, Gibson's paw print!) in the books - they will WRAP THEM FOR YOU as well. I am glad to sign all and any of my books but I got to say that One Woman Farm makes a beautiful gift for the farm-curious and my newest book: Cold Antler Farm is the most raw, spiritual, and honest book I ever wrote about the emotions and stories of living on this little mountain farm. Call or order today, and the first 5 people to make orders will also have mailed a special little gift from Cold Antler Farm itself: hand drawn bookmarks of a farm animal, signed by me. I'll let Connie Know! I purchased 2 signed copies of Cold Antler Farm from Battenkill Books when it first came out, one for me and one for some homesteading friends living in Vermont. After reading my copy I'm so excited for them to open their Christmas parcel containing your book. In fact I may go back through the blog and watch the trailer for the book again again, cos I love that too!